Gill passes on the Cleethorpes Festival baton..
Gill has also encouraged local bands and special commissions. This year for example the North East Lincolnshire Jazz orchestra and the young musicians of Sound Departure both played sets, and the finale of the festival was the premiere of "The Grimsby Fish Tail - A Port in a Storm" written by Alan Barnes and Pat McCarthy with readings from local poet Josie Gray. This July sees the second HJGS Jazz Guitar Festival. A three day celebration of jazz guitar, the festival was a mixture of free concerts, ticketed events and workshops, all held at the Rat and Ratchet in Huddersfield. This year the festival has some themes covering a wide range of jazz guitar styles. Friday is very much a Gypsy jazz night with two of the U.Ks leading exponents. Saturday is a celebration of the great Charlie Christian while Sunday sees a leaning towards the Organ trios. In addition to all this there are free concerts throughout the day, workshops, jam sessions, raffles and competitions. 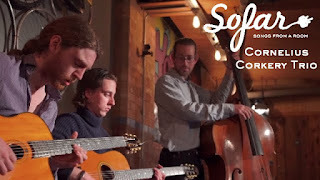 Gypsy Jazz is fiery acoustic guitar music which has remained popular since the days of Django Reinhardt and the Quintette du Hot Club de France in the 1930’s. Britain’s two leading exponents are Gary Potter and Remi Harris and its a real treat to have them on the same bill. ‘The Charlie Christian Collective’ are a guitar ensemble lead by Darren Dutson Bromley who perform specially arranged pieces associated with Charlie Christian and Benny Goodman. Alan Barnes is a virtuoso clarinet player who is able to play tunes associated with the swing era. This evening sees him matched with the guitar duo of Sam Dunn and Jamie Taylor and double bass player Dave Turner. The quartet will perform pieces made famous by the Benny Goodman featuring Charlie Christian. Soho Nights is the tribute to the great jazz and organ groups of the 60s. Beginning with Adrian Ingram’s Cookbook, a tribute to George Benson’s early period when he played with organists Jack McDuff and Lonnie Smith. Adrian along with Jez Platt on organ and Paul Smith on drums will be recreating tracks from Benson’s Cookbook, New Boss Guitar and Up Town albums. Expect fast fiery blues and bebop to the highest order. Terry Smith is one of the UK’s best guitarists. Twice winner of the Melody Maker Music Polls, Terry Smith spent the early 1960s playing with the Tony Lee Trio, before becoming Scott Walker’s musical director and accompanying The Walker Brothers on their Japan tour in 1968. 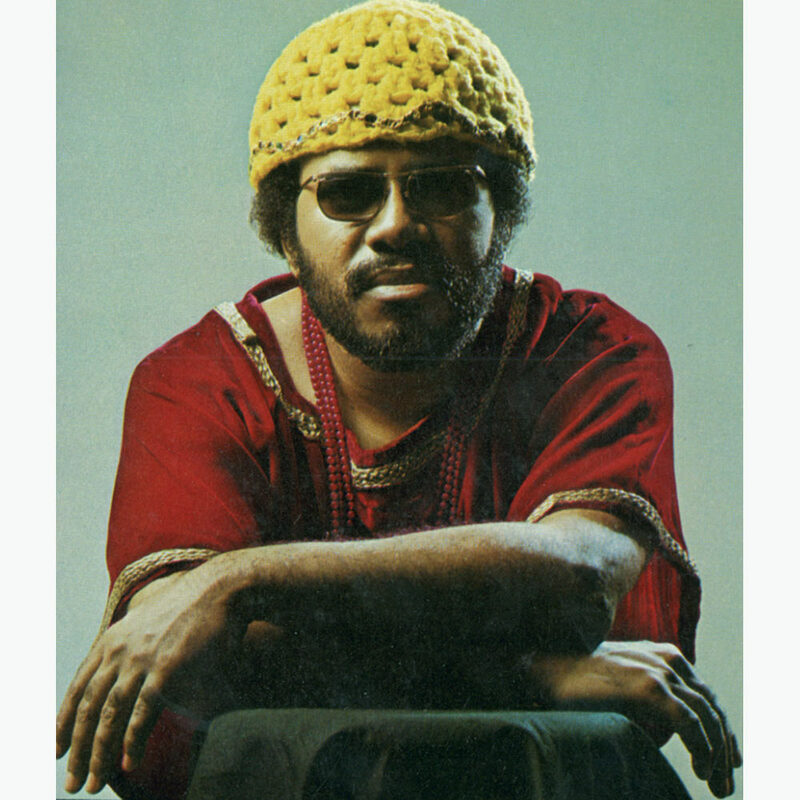 Returning to the UK, he recorded a solo album, Fall Out (1968), and appeared with Morrissey on Brother Jack McDuff’s Blue Note recording To Seek a New Home (1970). Many Jazz clubs finish over the summer - I'm glad to say that the Cullingworth club in West Yorkshire isn't one of them. Drummer Dave Lee continues to programme the best from the region at this friendly venue right through the silly season! Here's the events listings for the coming month. 9pm start, free with raffle contribution. Here's the headliners announced so far! 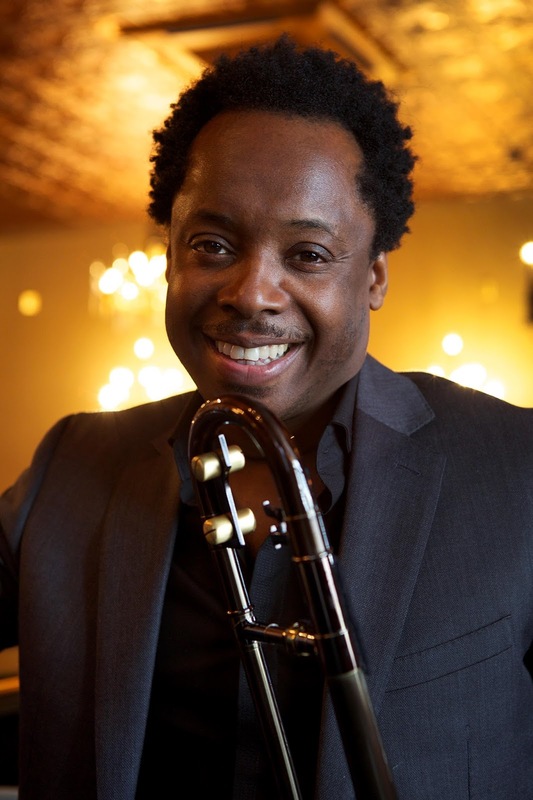 Nathaniel Facey, a BBC Jazz Awards rising star nominee, will play the music of Charlie Parker in a six-piece band project linking big screen shots from the forties and some fabulous singing from Vimala Rowe. Finally Australian saxophonist Brandon Allen, who brings a six-piece to the festival, is based in the UK and hosts a late night session at Ronnie Scott’s. He has played with many great stars including Eric Clapton, Paloma Faith, Kyle Eastwood and Stan Tracey. The festival takes place on 23-25 September at Scarborough Spa. Tickets are priced at £90 for the weekend, with day and sessions tickets also available. ickets are available from www.scarboroughjazzfestival.co.uk or the Scarborough Spa Box Office (01723 821888). Rick Laughlin – Piano, Bruce Rollo – Double Bass and Ian Wynd – Drums. For the final concert of our 2015-16 Season, we are delighted to welcome the renowned Scottish vocalist Todd Gordon on 26 June. Todd has established a reputation as one of the best interpreters of the Great American Songbook, earning praise from critics, other musicians and writers. At last year's Edinburgh International Festival Fringe he played a marathon 24 nights! David Jones of the London jazz Festival wrote that “Todd strips away all the cabaret and show biz veneer and gets to the very heart of the lyrics of the American Songbook” . Todd's current show, which he will be presenting at Wigan, is entitled "Going Gaga Over Tony - Todd Gordon sings Tony Bennett". 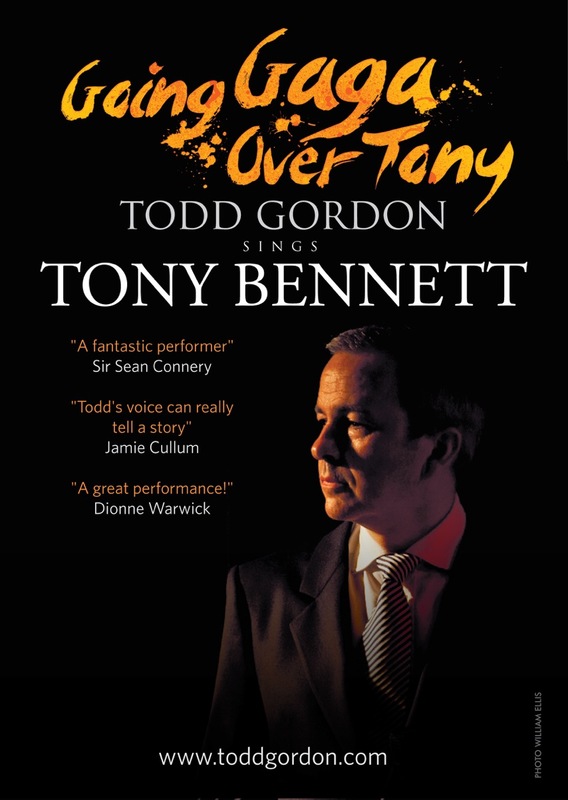 His interpretation of songs associated with Tony Bennett is sure to appeal to an audience wider than pure jazz fans, and non-members are most welcome. The venue is Whelley Ex-Servicemen's Club in Vauxhall Road, Wigan, WN1 3LU. Doors open at 11.30am for a 12.30pm start, The bar will be open and hot drinks, sandwiches and cakes on sale. Admission is £11 for non-members, £10.50 for concessions and £10 for members - pay on the door. Full details of this and all of our concerts can be found at www.wiganjazzclub.co.uk . This year Wigan Jazz Club are playing a key roll in organising the Wigan International Jazz Festival - now in its 31st year. 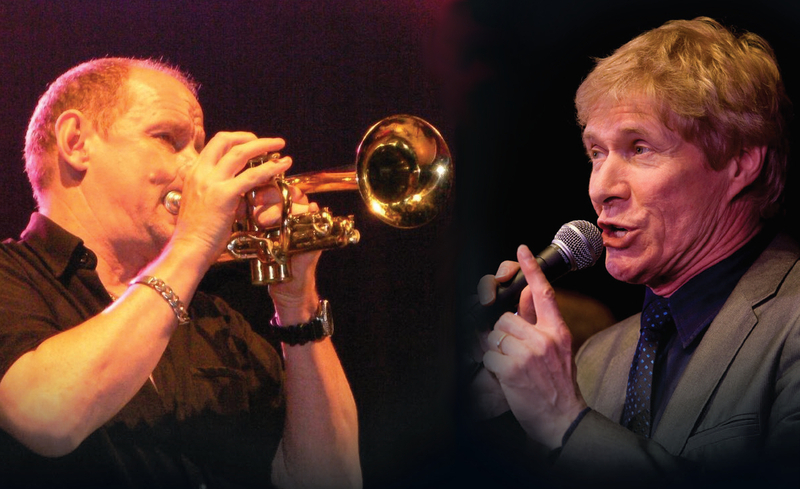 We believe that this year's programme is outstanding - including artists of the calibre of Georgie Fame, Guy Barker Big Band, Eric Marienthal, the Big Chris Barber Band, Andy Prior, SK2 Jazz Orchestra and the N.A.T.O. Jazz Orchestra, The Festival runs from July 7th - 10th at the Robin Park Indoor Sports Centre. Tickets are now on sale and full details are on the website above. We are working hard to ensure that the Festival continues in future years - why not make the trip to Wigan and play your part! Come join us for our exciting new Sunday event to be held in Cafe Society in the centre of Huddersfield. 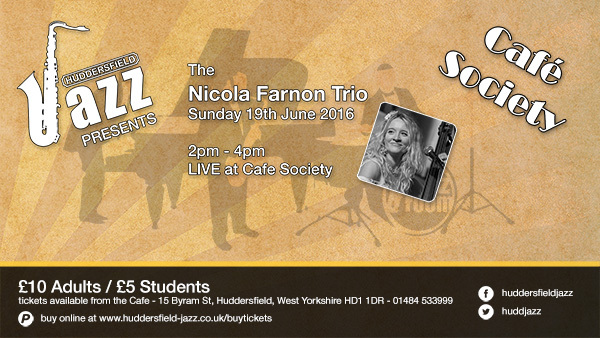 Nicola is widely recognised as one of the classiest Jazz and Swing musicians in the UK. Her sparkling vocals and accomplished double bass playing have seen her quintet make a memorable appearance on Radio 3’s Jazz Line up with her sparkling trio and quartet appearing regularly at many festivals including Glastonbury, Manchester, Birmingham, London, Marlborough and Liverpool. 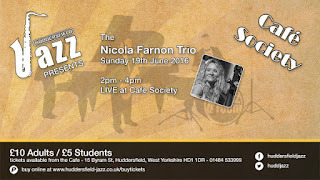 Nicola will be joined on stage alongside Piero Tucci on Piano & Saxophone and Phil Johnson on Drums. Exciting new band from Leeds featuring Seven Jazz's Will Powell on guitar and young saxman/jazz club organiser Ben Powling playing tunes of Will and Ben's, plus some tunes by Wayne Shorter, Jim Hall and John Scofield, with influences from electric-era Miles to contemporary bands like Polar Bear, Partisans and Troyka. Some have a more alternative-rock influence/sound, and some will be slightly 'out there' - as per Will's, Ben's, Sam's and Luke's tastes. In a rare Leeds appearance, Bristolian jazz electro-minimalism pioneers Michelson Morley featuring "Get the Blessing" saxman Jake McMuchie play @Seven Arts in advance of their upcoming album release on Babel label 'Strange Courage'. Melodic,atmospheric, minimalist music. Perhaps the most original and exciting new UK jazz bands of 2016! 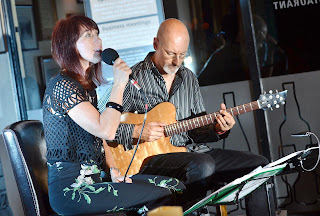 Change of plan as Deirdre Cartwright who was originally scheduled is now unavailable but we're more than happy to welcome Deidre's long time musical collaborator and fellow guitarist Kathy Dyson to play instead. Accompanying Kathy will be York guitarist Al Morrison's trio for a joyful set of jazz standards and originals. Leeds drummer James Robinson and this all-star band interprets the small band jazz pad of Leeds legendary band leader Ronnie Bottomley. Legendary English guitarist brings sensational new vocal star Vimala Rowe to Seven Arts for an evening of passion and soul. John will play some of his celebrated solo set and then be joined by Vimala for an intimate guitar /vocal duo, featuring repertoire drawn from sources across the world. It's easy to get confused between the jazz promoter Jazz North East and the regional posts we get from Russell Corbett which are about all the jazz events in the north east. This listing is for the promoter Jazz North East who programme at various venues in Newcastle - the Black Swan Bar, Cluny, the Jazz Cafe and Bridge Hotel. Anyway in June they've got some top jazz/improv music with Raymond MacDonald and "Baby" Sommer (5 June) Sue Ferris Quartet/Ruth Lambert Trio (12 June) Sue Richardson (24 June) and Tim Richards Hextet (28 June). Track them down! Speakers at the event will be the authors Philip V. Bohlman & Goffredo Plastino as well as York University Lecturer Jonathan Eato. Some live music will be provided by the Cornelius Corkery Trio. The event is free entry so please come along and join in the launch of this excellent book. For those not familiar with The Inkwell, it is one of those shops that makes York so great. Packed full of cool records, books, magazines & pop culture, it's a music lovers paradise! Vula Veil at The National Centre For Early Music - 5th June. Quercus feat. June Tabor are at The National Centre For Early Music - 17th June. Clare Teal and Her Trio Celebrate Doris Day are at York Theatre Royal - 18th June. Ian Shaw & Liane Carroll are at The National Centre For Early Music - 19th June. 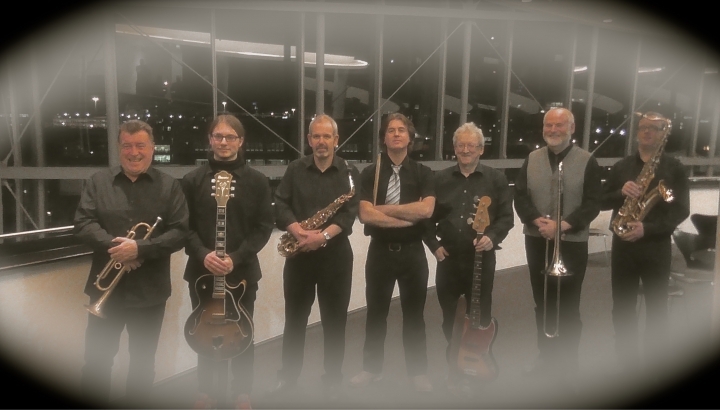 Snake Davis with The DB Big Band are at Haxby Memorial Hall - 26th June. Mondays - Jazz at The Phoenix Inn, George Street - 8.30pm (Kate Peters Quartet 1st & 3rd/Croft Mullen Band 2nd). Wednesdays - Jazz Jam at The Phoenix Inn, George Street - 8.30pm (Weekly) Wednesday - Arts Barge Gypsy Jazz Jam at The Victoria Vaults, Nunnery Lane - 8.30pm (Fortnightly). American icons – living and long gone – visit the north east during June. George Benson plays Sage Gateshead June 21. Tickets sold out months ago, so, it’s a case of checking on the night for returns. Hoochie Coochie on Pilgrim Street in Newcastle welcomes Lonnie Liston Smith (June 4) and Stephen Triffitt plays two Frankly Sinatra theatre concerts – Sunderland Empire (10) and the Empire Theatre, Consett (24) – with his big band singing the best of Ol’ Blue Eyes. Triffitt puts on a great show and those with a grasp of jazz and its influence across popular music will enjoy the trip. 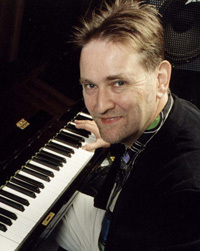 The New Century Ragtime Orchestra is the project of jazz authority, arranger and band leader Dave Kerr. From ragtime to 1930s swing, Kerr unearths, transcribes and arranges a pad of tunes to be played by a hand picked ensemble. The next gig in the diary is a lunch-time engagement at St Augustine’s Parish Centre in Darlington, June 4. In the far north of the region Ken Mathieson’s Classic Jazz Orchestra is on a similar mission to document and simply enjoy the jazz of the early twentieth century. The band’s next concert is at the Maltings Theatre in Berwick upon Tweed, June 17. Jazz and politics, and jazz and beer, as somebody probably never said: Go together like a horse and carriage. The Baghdaddies fuse jazz, Balkan, klezmer and myriad other genre in an always enjoyable performance. They are playing a set at this year’s Northumberland Miners’ Picnic (11) amidst the annual trades union festivities at Woodhorn, Ashington. In leafy Corbridge (18) its jazz and beer at the annual Tynedale Beer Festival. It’s three days of bacchanalian delight, culminating on Saturday afternoon with a set by the Tyne Valley Big Band. Who said big bands are dead? Don’t believe it! Several ensembles gig regularly at venues across the region. The standard is exceptionally high and June’s big band outings include; Gerry Richardson’s Big Idea (2) at the Jazz Café. A Hammond-led eight piece outfit (a small big band!) Richardson’s band is as good as any, and comes highly recommended. A double bill at St Cuthbert’s Centre, Crook (17) features Durham’s Gala Big Band and the Early Bird Band. On the same evening at Dunelm House (Durham Students’ Union) the award winning Durham University Big Band will go out in style at an end of term party and Michael Lamb’s Strictly Smokin’ Big Band will play a late Sunday afternoon gig at Hoochie Coochie (19) to an anticipated full house. The Customs House Big Band (Peter Morgan, MD) will similarly play to a large gathering at Ushaw College (24). Small group jazz can be found around every corner; Birmingham Conservatoire graduate Jakub Valicek brings his JV Quartet to the Jazz Café (3), there is a Jazz North East gig at the Bridge Hotel, Newcastle (5) which promises to be one of the year’s highlights with Raymond MacDonald and Gunther ‘Baby’ Sommer playing a duo set and Dominic J Marshall visits the Jazz Café (14) in the company of the two Sams – Sam Vicary (bass) and drummer Sam Gardner. The In/Out Trio will be at the Pink Lane venue three days later (17) and the following week (24) trumpeter Sue Richardson presents her Too Cool Chet Baker show. Tim Richards comes to Tyneside for the first time in over ten years to play the Black Swan, Newcastle (28) with his Hextet. And finally, the Jazz Café on June 10 is the place to be – the Mark Toomey-Lewis Watson Quintet will be in town. JATPjazz’s Glyde House inaugurating band, The WEAVE brought peace to our troubles with a thrilling show of highly refreshing jazz of West Coast ‘Cool’, Hard Bop and New Orleans flavours sautéed in exquisite Liverpudlian musicality and humour . Now they're back! STORMING!! Cherie Gears, a Leeds based singer has at the tender age of 26 sung at over 1000 gigs around the UK. 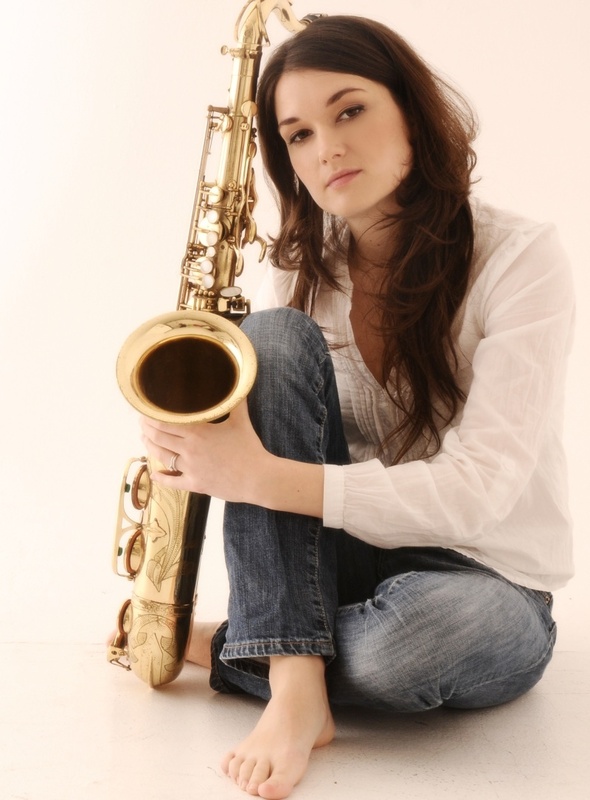 She has performed at The Royal Albert Hall and The NEC Birmingham among many other prestigious venues and has also been featured on The South Bank Show, two separate solo appearances on BBC’s Songs of Praise and performed at Rowan Atkinson’s birthday party with The Cherie Gears Jazz Quintet. Cherie loves to perform in a range of genres and fuses jazz, reggae and soul to create her unique style. She is constantly writing and arranging music on her own and in a group environment. Cherie’s originals band Lazybaby released single ‘Good Girl’ in 2008 and have a large online following. Her interest is to get involved in as many musical opportunities as possible which challenge her vocal, composition and performance skills. Her most recent session work included recording the vocals for a television advert for company Mazuma MobilE. 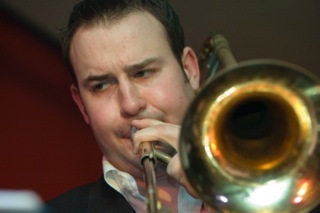 Matt Ball performed at jazz venues such as Ronnie Scotts (London and Birmingham), Pizza Express (Music Room, Maidstone), The Sands (Gainsborough) and Wakefield Jazz Club (West Yorkshire). He has also performed at prestigious venues such as Symphony Hall (Birmingham), Bridgewater Hall (Manchester), Clyde Auditorium (Glasgow), St. David’s Hall (Cardiff) and Hammersmith Apollo (London). Matthew’s Quintet, influenced by groups such as Art Blakey and the Jazz Messengers and the Cannonball Adderley Quintet, were featured as one of Jazz Yorkshire’s showcase bands 2006, with performances at Scarborough Jazz Festival, The Wardrobe and a Live Lounge session for BBC radio. The Quintet also performed at Wigan International Jazz Festival 2007.
ample car parking space which is overseen by CCTV. This is all in aid of the local St Luke's Hospice where ALL the money will go. A great way to spend a Sunday afternoon / evening with a very exciting band. De Bees has an indoor and outdoor space. Swing into the Summer at Wilmslow..
From Graham Brook - Here's our summer line up for Wilmslow Jazz and Swing club. Dove Jazz Club are extremely pleased and privileged to host the only appearance up North for the Hippocampus Jass Gang from Montpellier, France, on Saturday June 18th, 8.00pm - 11.00pm. The Hippocampus Jass Gang’s musical repertoire is intense, generous and undeniably original while also remaining faithful to traditional jazz. 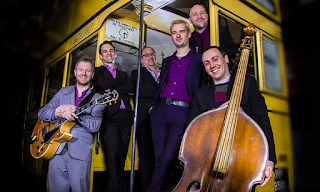 The sextet draws inspiration especially from the hot jazz of the 1920's, which the band revives with its original arrangements, mixing the spontaneous energy of improvisation with the subtlety of carefully scripted music. The unique orchestration — typical of the old-time string bands, combined with the male vocal quartet’s singing, convey an incomparable charm to the band’s musical identity. The band has built and strengthened its artistic and relational cohesion since 2008 through hundreds of concerts, both on stage and in acoustic sessions . 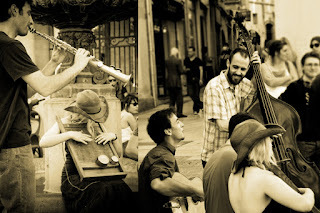 But it is definitely in the streets of downtown Montpellier, where “the Gang” was originally born and where they still like to perform, that the band took to sharing enthusiastically their love of this music, which continues to appeal to a very broad audience of all ages and backgrounds. They are all professional musicians and play in different bands in Montpellier. Jazz is a very popular music in the town, and many young musicians play this kind of music, from New Orleans to Swing, attracting lots of young Lindy-hop and Charleston dancers. Most of the Gang have visited New Orleans in the past, to get inspiration by playing in the streets there with the local musicians. The Institute of Popular Music at the University of Liverpool, in conjunction with the Open Eye Gallery and Liverpooljazz, is proud to host a public talk and informal exhibition from the ongoing "Music, Photographs, and Stories from the Archives" project. Running from 12 noon until 3pm on Saturday June 18, the event includes an exhibition of items from two of Liverpool's hidden archives, the Institute's Popular Music Archive and the Open Eye Gallery archive, selected and curated by project participants. 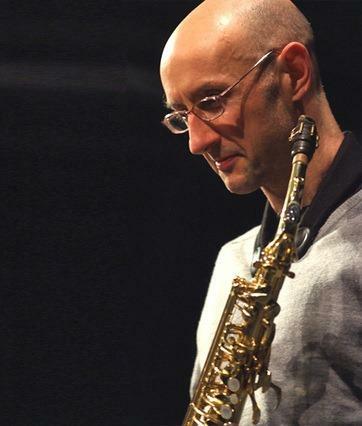 Live jazz from Liverpool's Martin Smith Quartet will soundtrack the afternoon, and the event will close with a public discussion on the meaning of music, photography and materiality in the digital era. All welcome. The event is free however booking is required. To reserve your place please email aine.mangaoang@liv.ac.uk. 15 good reasons to come to Cleethorpes Jazz Festival! There are at least 15 good reasons to come to this year’s Cleethorpes Jazz Festival. 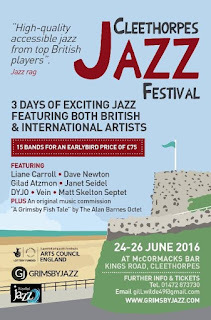 Three days of exciting jazz, featuring British and International artists. The international flavour of Australia’s first lady of jazz, vocalist Janet Seidel with her trio, starts the weekend and contrasts with another trio, Vein, from Switzerland. 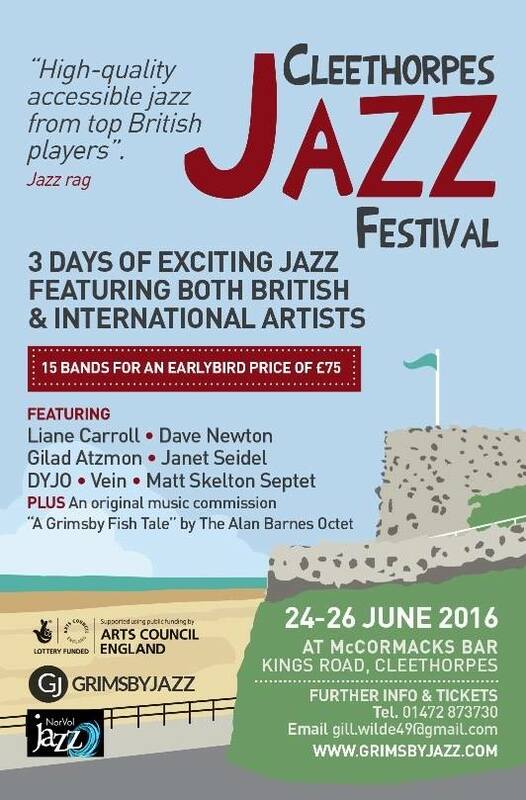 The range of music will make it a “Wonderful, musically enthralling festival”, all for an earlybird price of £75. The highlight will be the commission, by Grimsby Jazz, of new original music reflecting on the fishing heritage of Great Grimsby, led by composer Alan Barnes. Composed by Alan Barnes with Pat McCarthy, and infused with poetry by Josie Gray “A Grimsby Fish Tale”, is a story paying tribute to our country’s fishing heritage in jazz and poetry. With Alan will be Gilad Atzmon and Dean Masser on sax, Neil Yates trumpet, Mark Nightingale trombone, Pat McCarthy guitar and Dave Green and John Perry on Bass and drums. Each of the three days ends with a cracking headline act. On Friday 24th June The Matt Skelton Allstars Septet playing Basie and Ellington, Saturday 25th June sees The Lowest Common Demoninator, a top drawer quintet fronted by festival favourites, sax giants Gilad Atzmon and Alan Barnes, and closing the festival on Sunday 26th June will be the highlight of the weekend, the premiere of “A Grimsby Fish Tale” (Any Port in a Storm). Lickety Split over to Durham! 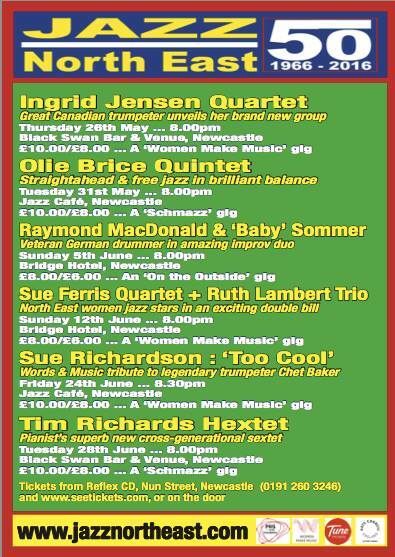 Working in association with the Jazz Co-Op in Newcastle The Jazz Sessions at Durham's Empty shop continue in June on Thursdays. Lickety Split are an eight piece band, featuring a four piece brass section,playing the best of west coast jazz. Alto sax – Alan Marshall. 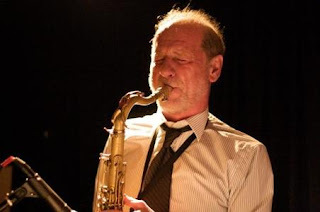 Tenor sax – Paul Gowland. Alice Grace is a young British jazz singer who’s career began touring with established UK jazz big band The National Youth Jazz Orchestra (NYJO) and singing with the James Pearson Trio at the famous Ronnie Scott’s Jazz Club, before landing a place to continue her musical education at the London Guildhall School of Music and Drama and the Conservatorium van Amsterdam. Alice now lives in Newcastle. With a new jazz quartet, she is blending into the North East jazz scene, performing music from her early years combined with a more contemporary selection. Alice’s experiences have heavily influenced her live performance, turning an academic jazz musician into a respected and international artist. We encourage anyone with an interest in live jazz, or an ear for discovery to come along and support these events and please, spread the word! From Mike Gordon: exciting line up of bands to tempt you over to Scarborough this summer - bring the bucket and spade too! Hailed as one of the most gifted trumpeters of her generation, Ingrid Jensen has worked in New York for over 20 years playing with GRAMMY award winning ensembles. 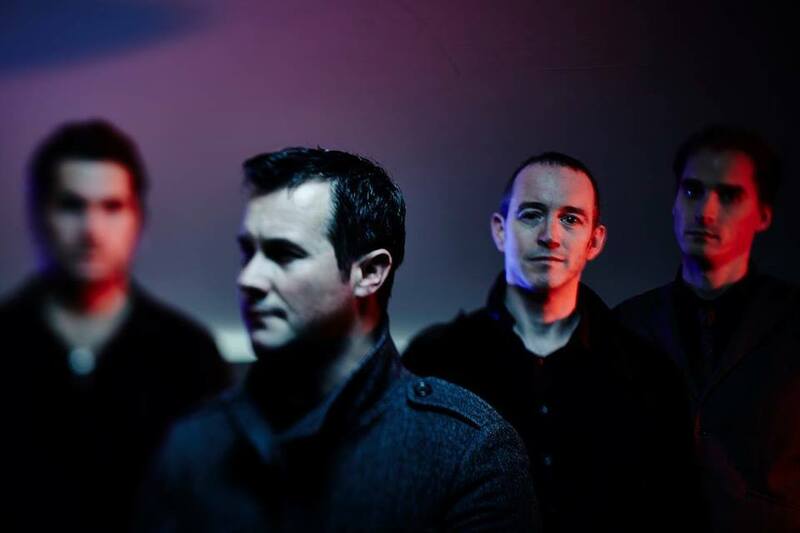 The quartet features three exceptional UK musicians - Jez Franks, guitar, Andy Champion, bass and Tim Giles, drums. The Quartet is part of a NORVOL Funded Tour. £8 (£7 in advance). and with mesmerising intrigue on slow ones, playing a mix of swing and latin standards. He has a dry sense of humour too. With Alastair Lawrence, piano, Paul Baxter, bass and Tom Townsend, drums. £6. Variety! Talent! Surprises! This is what you can expect on Players’ night. Anyone who frequents Scarborough Jazz and would like to play some jazz is welcome to perform, and the resident trio will be happy to provide backing if required. Please contact Mike Gordon (01723 379818) if you would like to take part. It’s a fun night. £4. 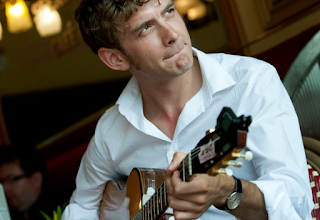 Will Powell is a popular Leeds based guitarist and bandleader whose melodic improvising was much in evidence when he played with singer Liane Carroll at Seven Jazz last year. Backed by MG3. £4. 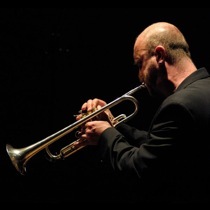 29 Mark Chandler and the "Bobby Shew Project"
Flugelhorn and trumpet player Mark has played with some of the biggest names in jazz and show business in a 40 year career. The night will feature Mark’s transcriptions of the boporiented album of jazz standards ‘Heavyweights’ by Bobby Shew and Carl Fontana. With Kevin Holbrough, trombone, Jamil Sheriff, piano, Paul Baxter, bass and Dave Walsh, drums. £7 (£6 in advance). Returning after his first appearance at the club, Ben plays tenor sax, flute and clarinet as well as composing and arranging. A graduate of Leeds College of Music with first class honours, Ben has full, warm tone to match his creative skills. With MG3. £4. A return visit has the double pleasure of hearing Tom’s imaginative improvising on trumpet - a tone and fluency reminiscent of Clifford Brown and Chet Baker - and guitar, with influences of Pat Metheny and Wes Montgomery. With MG3. £4. is at the forefront of some of the UK’s most innovative music including Submotion Orchestra, a band combining percussive electronica, jazz and soul. MG3. £4. 4th – Chicago Teddy Bears Society Jazz Band – here’s a wonderful way to get the month off to a flying start with a rip roaring session of traditional jazz from the “Teds”. Always a full bore performance laced with Merseyside humour - a sparkling performance with never a dull moment! 11th – Spirit of New Orleans – and to follow a highly regarded Yorkshire based band with a delightfully relaxed, distinctive style. Excellent musicians all and led by trumpet maestro Dave Pogson, this band swings and entertains in equal measure. To a degree, its name belies the wide variety of musical styles. Not to be missed. 18th – Big Easy Swing Band - making a first appearance is this energetic group of young musicians from Leeds playing an extensive repertoire from the early days in New Orleans through to Jump Jive. This band has quickly established a first class reputation throughout the North so we anticipate an enjoyable, foot tapping session. 25th – Hot Antic Jazz Band – recommended to us and on tour in the UK, this is one of the premier French jazz bands based in Nimes. Founded in 1979 with the objective to play for fun, the band has since played all the major European and UK and USA festivals and specialises in hot jazz sounds from the 1920s onwards. www.hotantic.net £10. 2nd – Harlem Hot Stompers – stalwarts of our annual Christmas party, we are guaranteed a rousing session of the best in traditional jazz from the Harlems. One of our longstanding favourite groups guaranteed to lift the spirits and set the feet tapping. 9th Louis Louis Louis – we had many requests for another session after last year’s first appearance by this energetic group. As the name suggests, the sounds of Armstrong, Prima and Jordan plus more. “Four part harmonies, honking horns and a driving boogie woogie-style piano.” Just the ticket for the many R & B fans amongst you.